Objectives: Comprehensive Oceanographic Study for the assessment of prevailed marine and meteorological features in the whole RSA during winter season. This Cruise can be fairly considered as a significant stage to the Regional monitoring performance and as an added value to the world of oceanography. It was planned and achieved taking into account the obstacles faced in the previously organized Cruises and accomplished depending on thinking, planning and proceeding by existing facilities and expertise from the Region. 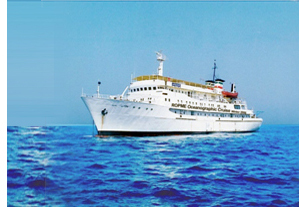 Totally, more than one hundred scientists and specialists have participated during the three legs of the Cruise. To elucidate the winter community structure of Macrobenthos, meiobenthos, and cysts based on their observed biodiversity and abundance in sediments. To achieve the targets of the Cruise within high quality performance , the Cruise Task Force elaborated three Management Plans. 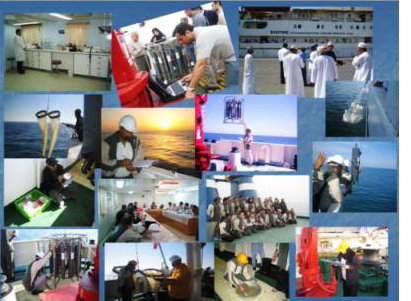 One of principal objectives of the Cruise was to extend opportunity for conducting the analysis of collected samples among specialized National Research Institutions in the Region. 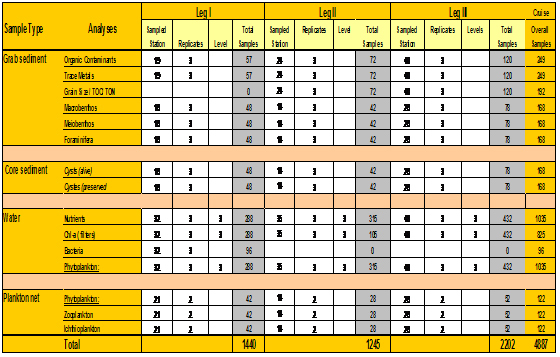 Towards this, a series of proficiency were conducted between willing laboratories to designate the most proficient laboratory to conduct samples analysis in each discipline. The Task Force recommended to organize an International Conference to present the ROPME winter 2006 Cruise along with previous ROPME Cruises and any other oceanographic activities in the RSA. Tentatively, it is planned to hold this conference in one of the ROPME Member States during mid 2011.